Texas Instruments has landed a mobile first today with the announcement of official certification for the Netflix HD application on the Android platform. 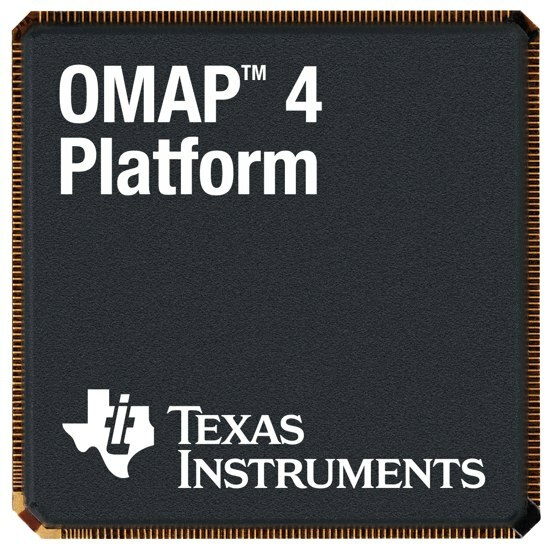 More specifically, TI’s OMAP 4 series of mobile chips will now ship with the capability to stream high-definition (1080p) Netflix movies and TV shows. “Netflix already has a rich heritage of streaming to PCs, Macs, game consoles, Internet-connected TVs, iPhone and iPad, and many set-top-boxes, so we sought a semiconductor partner that could bring out service to the broader mobile environment smoothly and securely,” Said VP of Business Development at Netflix. In order to receive the certification from Netflix, TI has implemented special security features into the processor as well as better connectivity technology for smoother streaming. The new features will supposedly allow up to 1080p video playback at 30fps while maintaining low CPU load. Output through HDMI, if the device allows, will be supported as well. The number of tablets with an OMAP 4 processor is still low, as only the recently released RIM PlayBook comes to mind. However, any future tablet releases sporting the TI-made CPU should be ready to stream as the Netflix HD application is expected to come pre-installed. As for any existing OMAP 4-powered device owners, PCMag claims the Netflix HD app can still be installed by an OTA update if the device is certified. 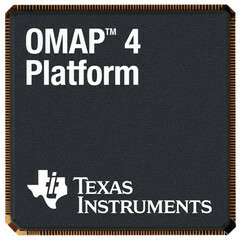 The OMAP 4 series is a dual-core SoC (system on chip) with ARM Cortex-A9 origins. Each chip in the 4th generation thus far includes an integrated PowerVR GPU with LPDDR2 RAM. We expect future advances in the OMAP series to carry the Netflix HD certification as well. Currently, Netflix streaming is already available on select smartphones and the HTC Evo View 4G tablet. DALLAS, July 5, 2011 /PRNewswire/ -- Texas Instruments Incorporated (TI) (NYSE: TXN) today became the first partner to achieve the Netflix Silicon Reference Implementation (SRI) certification for the Netflix HD application on Android. TI's OMAP™ 4 platform, complete with M-Shield™ security technology and TI's quad-radio WiLink™ 7.0 connectivity combo solution, met the Netflix requirements for mobile content streaming, including the ability to run up to full high-definition (HD) 1080p video within strict security measures. This milestone reflects the strength of TI's M-Shield technology on the OMAP 4 platform and marks the first time Netflix has certified its 1080p streaming application with end-to-end protection on a mobile device. With its dual ARM® Cortex™-A9 MPCore foundation featuring TrustZone®, TI's OMAP 4 platform sets the bar for multimedia-rich Netflix experiences on today's mobile devices. It employs parallel processing for higher performance and better power efficiency, and includes engines that drive consumer-demanded capabilities such as full HD 1080p 30fps multi-standard video and more. Part of the OMAP 4 platform, TI's M-Shield security technology protects premium content and mobile devices from attacks while streaming with the Netflix application. The M-Shield solution implements a hardware-protected, trusted execution environment (TEE), which runs on the OMAP processor, yet does not require a dedicated chip or extra CPU cycles. This allows M-Shield and OMAP architecture to provide optimal playback time, while maintaining low CPU loading so it is free to run other applications. Additional streaming security was achieved through the use of Wi-Fi-based WEP, WPA and WPA2 protocols, part of TI's WiLink 7.0 solution—the industry's only single chip to include Wi-Fi, Bluetooth®, GPS and FM technologies. Smartphones and tablets running the Netflix application on the OMAP 4 platform can also connect to larger, HDMI-supported televisions as the OMAP platform's security includes HDCP encryption over the HDMI connection itself. "Netflix already has a rich heritage of streaming to PCs, Macs, game consoles, Internet-connected TVs, iPhone and iPad, and many set-top-boxes, so we sought a semiconductor partner that could bring our service to the broader mobile environment smoothly and securely," said Bill Holmes, Vice President Business Development, Netflix. "TI's OMAP architecture and M-Shield security will set the stage for a high-performance, low-power, secure platform that will help Netflix members instantly watch unlimited TV shows and movies on Android devices." "TI is proud to be the first to achieve this coveted certification and to provide the solution that ensures a strong balance of performance, security and power efficiency as Netflix experiences migrate to the mobile world," said Fred Cohen, director of the OMAP User Experience team, TI. "Our OMAP processors deliver rich, life-like experiences on mobile devices, while our M-Shield technology stands as the guard dog, protecting customer, content provider and consumer assets. It's the best of both worlds, driving new growth opportunities for Netflix in the Android marketplace." "This Netflix certification represents another milestone in our successful work with the TI team," said Olivier Leger, VP and General Manager, Trusted Logic. "We are thrilled to bring the most advanced features – including premium content distribution and streaming – to various consumer products in a safe, secure manner. Netflix users and stakeholders will benefit from our proven technology, now optimized for TI's M-Shield, and the best possible experiences on their mobile devices." The OMAP 4 platform's Netflix certification supports Android 2.3 ("Gingerbread") today, with support for additional Android versions planned for this year. Devices with the OMAP 4 processor-driven Netflix application pre-installed will be launched in the near future.